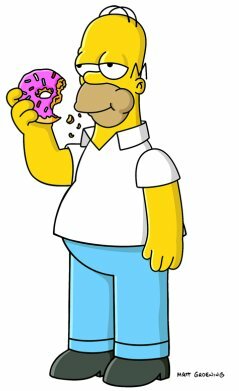 Please, do not leave Donuts sitting around the house, I will eat them. "You must think I am awfully stupid, if you think I am going to bite." "If I am confused, be smart enough to walk away." "When it seems obvious to say yes, then say yes, up until that point, continue to say no or you are stupid." Well, please read below at your own risk, what I am writing just becomes more and more confusing. The moral of this story is that life is meant to be simple, and life is simple providing I continue to say no. I will sit here in this Hotel and say no, watch movies, play on my computer, walk around looking at people until one day the obvious option is presented to me, then I will say yes. Sometimes, I dislike a comment, why, because the comment was not obviously clear, and there is no reason to confuse readers, unless they want to be confused. Then they can log in and be confused, and read convoluted comments. The primary goal of writing is to lead people out of confusion, not into confusion. I want to live simple, and I do, and I will continue to have a simple life because I am the king of saying no to people, when confusion is offered up on my plate to eat. "100 Dollars for a two month multiple entry visa." "260 Dollars for a six month multiple entry visa." I have learned, it is easier to understand the Visa expeditor companies’ explanations of Visa coast than the actual embassies. I have used this company, so I have been checking on their site or calling to ask visa cost. 260 Dollars was too much, this is a lot of money to visit a country for 20 days, and if I need to pay on average 100 dollars for the rest of the "West" West Africa countries it is an extreme amount of money. It was simple, so to K.I.S.S. I said, no, then I took a taxi back to my Hotel room. Visa cost change from country to country, they are not the same, and you can shop around for better prices given from Embassies in different countries. The problem is this, a visa is given with a requirement you enter the country. Example, if I got a Ghana visa here, I must enter Ghana with in 90 days, or lose the visa, this little requirement makes visas very complicated. Otherwise, I could sit in Washington D.C. get 10 visas, and come to Africa, but that would be simple, easy and make travel in Africa simple. Confusions is expensive, people get frustrated, angry and just pay big money to avoid the stress. I am burning daylight, it is time to stop in to see my parents, say hello to the USA. 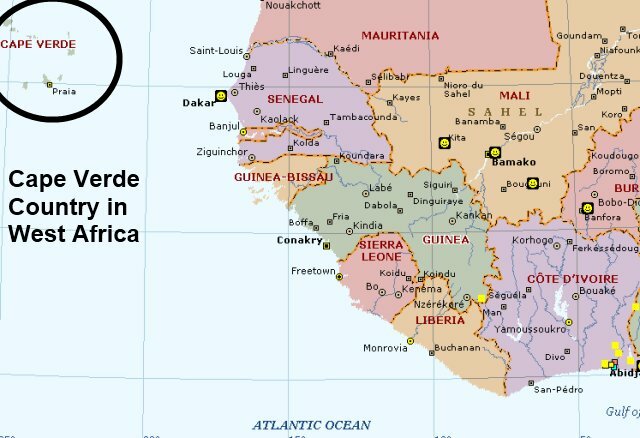 I know it is possible I buy a 1300 Dollar round-trip ticket from Senegal to Chicago and come back to Africa in a few months after I re-charge my batteries. What is the value of writing a Travel Blogging? There are many, however, earning money is very low on the list, it is almost impossible to make enough money by Travel Blogging to justify doing it. The best reason to write a daily diary is above, what I wrote above is forcing me to make clear decisions. "Andy, what is the point of going to these countries for two months? You want to go for 6-12 months to enjoy them, do not go right now." 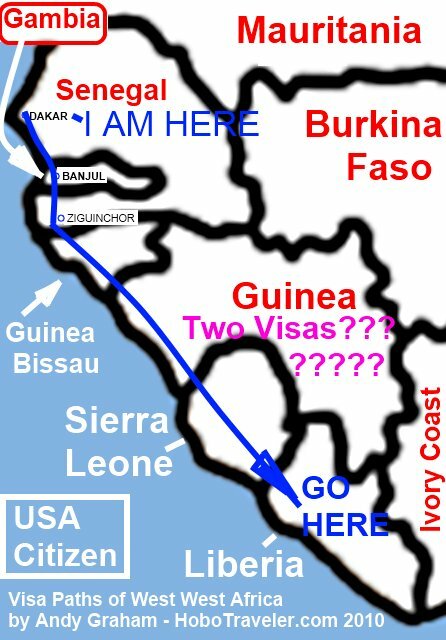 I am thinking, 1000 Dollars round-trip from Dakar to Chicago, and I do it. Doug Murray and Brent helped outline how to set up a voice mail to receive questions. Then Brent explained how to set up lighting for video productions. While typing this, Bah called me from Cote d’Ivoire, a.k.a. Ivory Coast. She is afraid and it appears she will flee to Ghana soon; the Allasane Soldiers are bringing war to the country of Cote d’Ivoire. I am not sure what to do; I need a five-year visa to Ghana, they will only give me six months here, and I must enter in three months. Sometimes sh*t happens for a reason, today you are where you are supposed to be, doing what you are supposed to be doing, same for myself, like you I have no 'boss' on Earth, only the one 'upstairs' who works in mysterious ways sometimes, a mentor in Guatemala, old timer born in US Canal Zone in 1914, tried living in States once, lasted 8 months, returned to the tropics, told me advices are cheap (all travel bloqs are are nicely wrapped advices and opinions with photos) experience is priceless, I can only tell travelers so much of my experiences, next month will be in Guatemala with people who remember the 1980s there, no need to 'tell stories' whew!!!!! Nothing but Japan Earthquake on cable news since yesterday, check the news once in a while, I do, I am not as crazy as I think I sometimes, world is on the edge. No wonder why tourism is so low in these countries. A thousand dollars in visa fees alone to cover such a small area. It is a real shame, especially when there are probably so many people in these countries who would love to have you dumping your money into their hotels and restaurants.